At the age of 18, Camille moved to Cleveland, Ohio. After attending Cuyahoga Community College, she gained employment with Cleveland City Hall until 1973. From there, she worked for the Diocese of Cleveland as a book keeper from 1977 until 1987 when she then started with the Cleveland Public School System. In 1994, she started working with Cleveland Heights City Hall until she retired in 2001. She became a member of Christian Fellowship Center in 1988 until she moved to Columbus, Ohio in 2007 and joined Triedstone Baptist Church. One of Camille’s many passions was singing for her Lord and Savior. Throughout her life, she was a member of many gospel groups including Southeast Community Choir, Koinonia, Judah First, Dr. Lucylle Lemon and the Lemon Gospel Chorus, The Triedstone Mass Choir and The Voices. During her singing career, Camille recorded three albums with the various gospel choirs. She was preceded in death by her Parents: Lucille Jackson Romeo Jackson. Left to cherish her memories, son: Brian H. Jackson (Tiffany Jackson), grandchildren: Deleon R. Jackson, Donovin M. Palmer, Brian H. Jackson Jr., David H. Jackson, Angelea M. Jackson, and Joshua N. Jackson and a host of cousins, other relatives and many friends. Visitation 5:00pm and Funeral 6:00pm Sunday February 22, 2015 at Triedstone Baptist Church 858 E. 3rd Ave. Interment 10:00am Monday at Green Lawn Cemetery. Sorry for your loss Brian and family. I remember your mom from CFC. My sincere prayers goes out to Brian Jackson and Family. My the Holy Spirit grant you comfort during this time of bereavement. She was one of my BEST friends who exercised great faith and was a major inspiration in my life. I will miss her immensely. In her words I will be STILL STANDING! My heart is with your family during this time of loss. But we rejoice that Camille is now with her King that she has served and praised through out her life here on earth. I pray for your comfort and strength during this time. My condolences to you Brian. I loved and adored your mom, she was a wonderful person and I’m glad I called her friend. Love you and praying for you. May the God of Peace be with you an comfort and strengthen you. Brian I send my deepest,deepest condolences to you and the family. I pray for peace and blessings over your life always and forever. 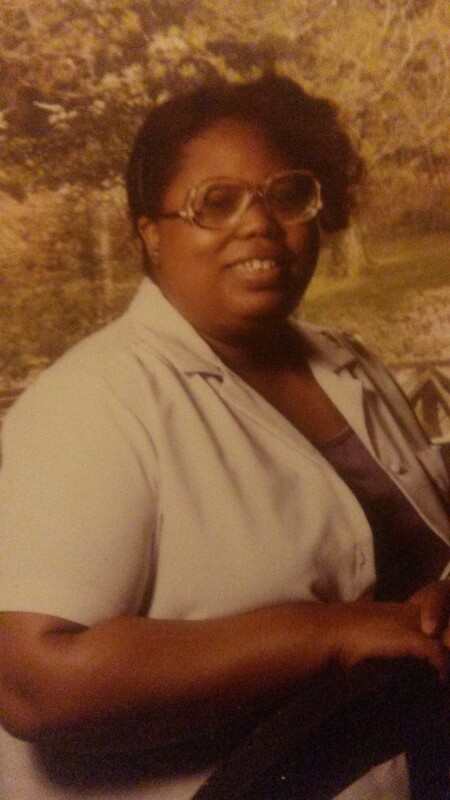 Love you very much Aunt Camille! Heaven’s got a star now!!! I will never forget the times that we shared and will always keep the good times in my soul and heart. Your mother and I grew up together in Charleston. We went to school together from first grade to graduation. I hadn’t seen her in many years, but she has remained in my heart and thoughts. I tried locating her so many times to find out how the two of you were doing. Camille was a lover of Christ and it gives me great joy to know faith remained foremost in her life. My heart is broken to learn of her lost. My prayers will include blessings for you and your family. Brian: I have just learned of your mother’s passing and was saddened about the news. My sisters and I grew up with your Mom in Charleston, WV. She graduated from South Charleston High School with my sister, Jean Hutcherson Meadows. Some family is still in Charleston, but my sister lives in Kent, Ohio and I in Akron, OH. For years after she left Charleston, we lost track of her and searched to no avail. We did not know the name Blythe and only searched for Jackson in Cleveland. If you read this please contact me. My sister and your Mom were best friends growing up. My prayers are with you and your family and am so pleased that she had you and so many grandchildren to fill her life.